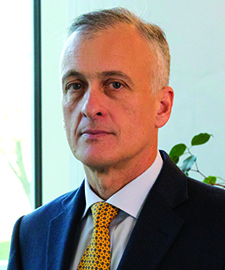 Roberto Pancaldi has become the new Tenova Metals CEO, assuming the role of Andrea Rocca, who, after five years in Tenova, has taken new responsibilities in Tecpetrol, another company of the Techint Group. Previously, Pancaldi was Tenova Metals COO, joining the Techint Group as process engineer in 1988. PreviousFebruary 2018 – Dolly Varden Silver Corp.
NextFebruary 2018 – eCobalt Solutions Inc.
January 2018 – Teck Resources Ltd.